Pat down turkey breasts and place in large bowl. Mix together lemon juice, olive oil, salt, pepper and basil. Pour mixture over turkey and mix to coat both sides. Place turkey on pan and top with remaining mixture in bowl. 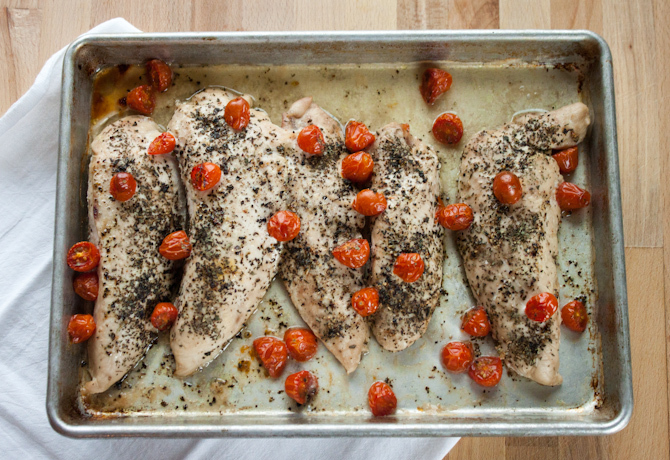 Slice cherry tomatoes and top turkey breast. Place pan in oven and bake for 45min or until turkey is cooked through.